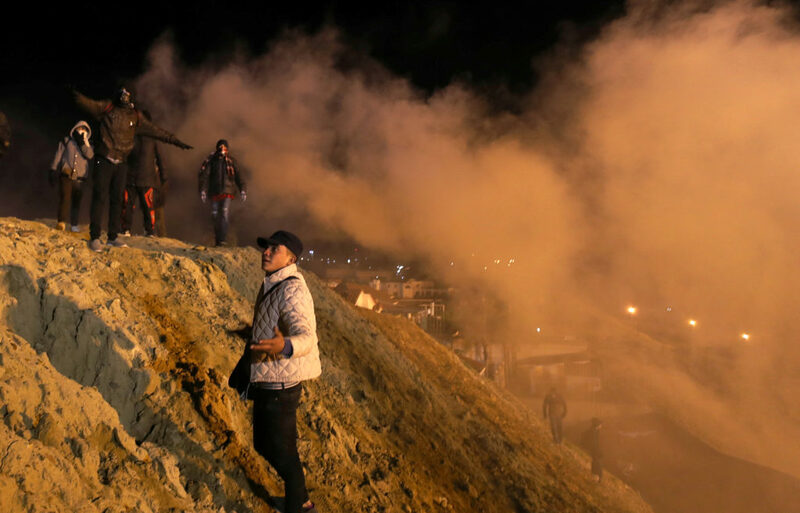 TIJUANA, Mexico — U.S. authorities fired tear gas into Mexico during the first hours of the new year to repel about 150 migrants who were trying to breach the border fence in Tijuana. Migrants who spoke with AP said they arrived last month with the caravan from Honduras. U.S. Customs and Border Protection says in a statement that the gas was aimed at rock throwers on the Mexican side who prevented agents from helping children who were being passed over the concertina wire. The agency says 25 migrants were detained.